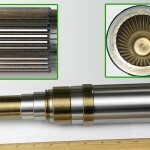 Splines are precision machined groves on a shaft that mesh with the grooves on a mating part. 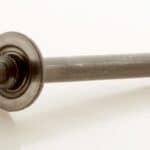 The main role of a spline is to ensure that both the shaft and its mating part rotate together, enabling better torque transfer and anti-rotation linear movement while maintaining its fixed position. Parallel key splines have equally spaced, straight-sided grooves that are parallel in both the radial and axial directions. 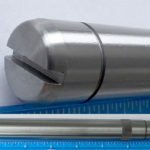 These splines are similar to keyway drives, but differ in that in the former, the keys are not fitted into slots cut into the shaft but are instead an integral part of the shaft. In addition, the keys are equally spaced along the circumference of the shaft. Involute splines also have equally spaced teeth, but the teeth are involute and usually not as tall. The involute form and the lowered height increase strength by decreasing stress concentration as well as the possibility of cracks due to fatigue. 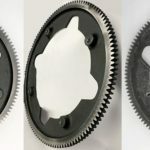 Involute splines are self-centering under load, and even a loose-fitting assembly will center itself when torque is applied. 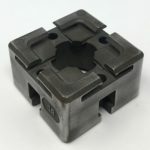 They are also easy to cut and fit, and usually the internal spline is made to basic dimensions while the external spline adjusted to control the fit. 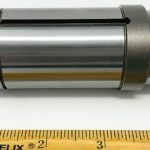 For these reasons, involute splines are the most common type of spline shafts in use. Crowned splines are usually involute splines whose teeth are crowned or curved to compensate for angular misalignment. 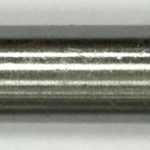 While straight-toothed splines can accommodate only small misalignments of less than 1 degree, crowned splines can handle misalignments of up to 5 degrees. Serrated splines have teeth that are in the form of a ‘V’. This shape allows for more teeth on a smaller shaft circumference, thus providing greater contact area. These splines are usually used on small-diameter shafts, instrument drives etc. 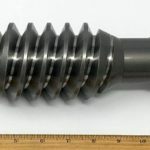 Helical splines have equally spaced teeth that form a helix around the shaft. 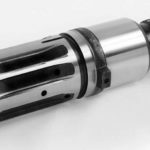 The helix enables better load sharing of rotational torque along the length of the shaft and is therefore used in applications of high torque. 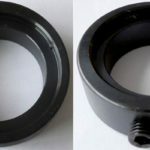 By using a helical male with a mating helical female spline, helical splines are also useful in applications that combine rotation with axial motion. 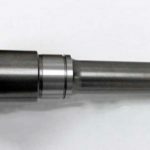 AmTech International manufactures splined shafts for axles, power transmission, gearboxes and other motion control applications. 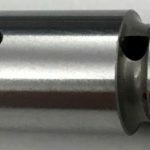 Our state-of-the-art machinery coupled with our highly experienced engineering capabilities allows us to produce both standard and custom splines for all your needs.